Delhi Streets opened in a little laneway near Southern Cross Station a month or so back, and I wouldn’t have heard of it at all if it weren’t for a long overdue catch-up dinner with a couple of lovely ex-co-workers, Ben and Aisling. 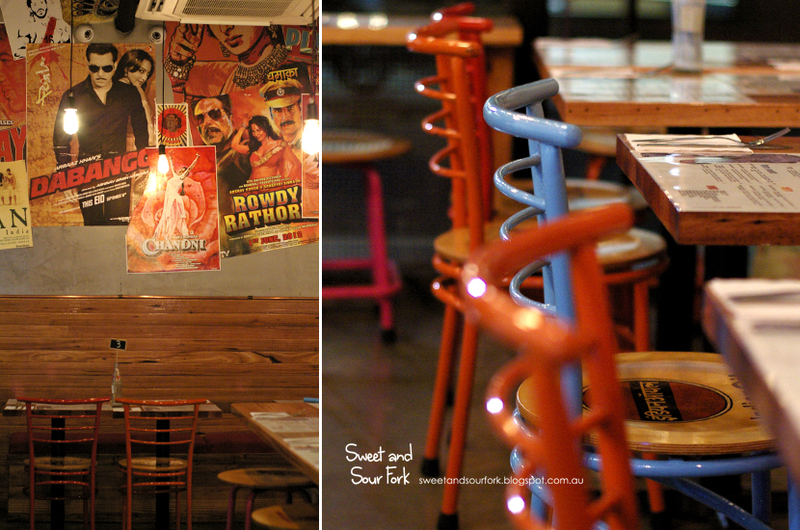 I met up with the lovely duo in the snug little restaurant a tad past six. 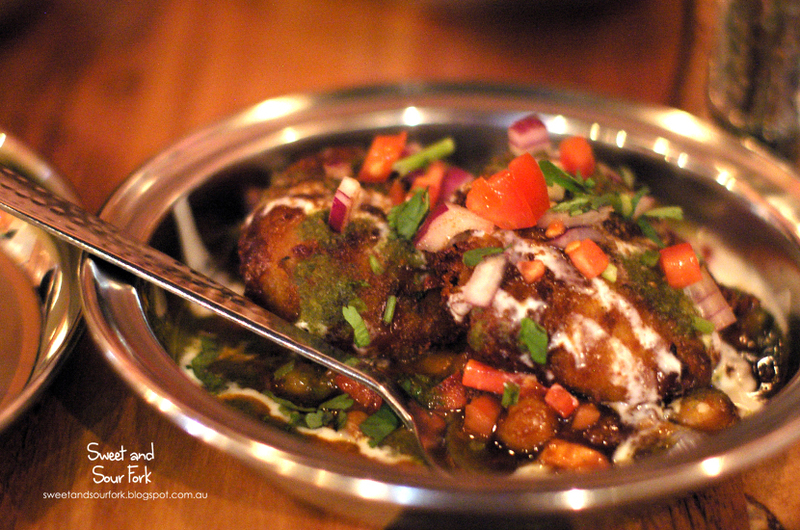 The staff were bubbly and welcoming, and before too long, the small 20 (or so) seater restaurant began filling up with punters craving an authentic Indian food fix. 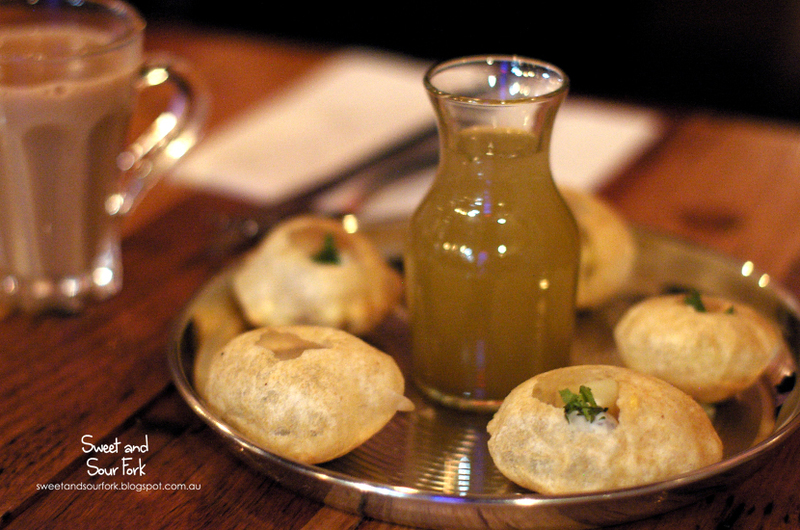 The Pani Puri ($7, 5pcs) were toted as a ‘must have’, and they were indeed one of a kind. Nested in the hollow lentil puffs was a mixture of potatoes, onions, chickpeas, and herbs. But wait, there’s more! To finish it off, you fill the puffs with tangy tamarind water, and shove it all in your mouth for a crunchy, tangy taste explosion! 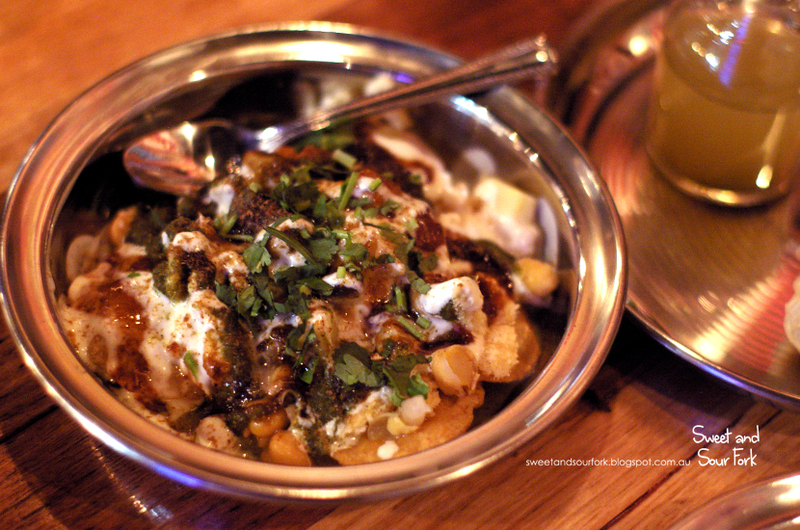 The Papri Chaat ($7) had me at Indian nachos, and the comparison was indeed apt. Delicate lentil crackers were topped with a sloppy, moreish mix of yoghurt, mint and tamarind chutneys, and soft potato pieces, and finished off with fresh coriander. This is one plate of nachos that won’t go to your thighs. 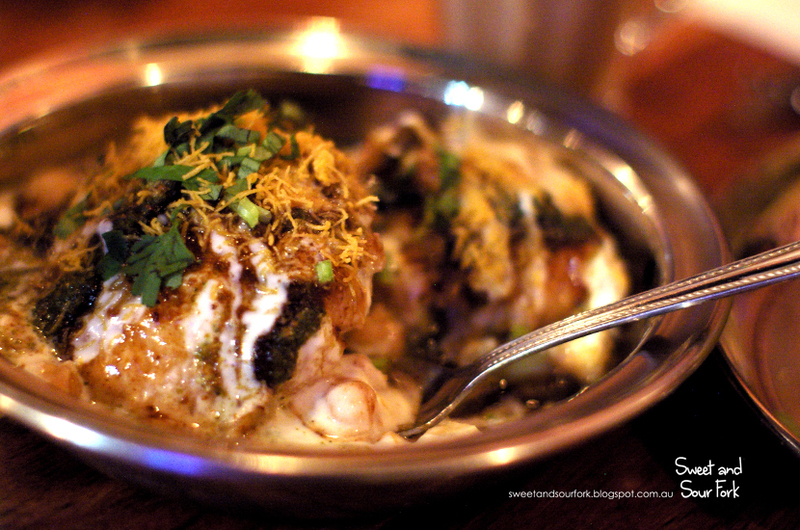 Meanwhile, the Dahi Vada ($7, 2pcs) were indeed feather light, the fluffy dumplings soaking up the mixture of chutneys, yoghurt, and slow-cooked veggies. 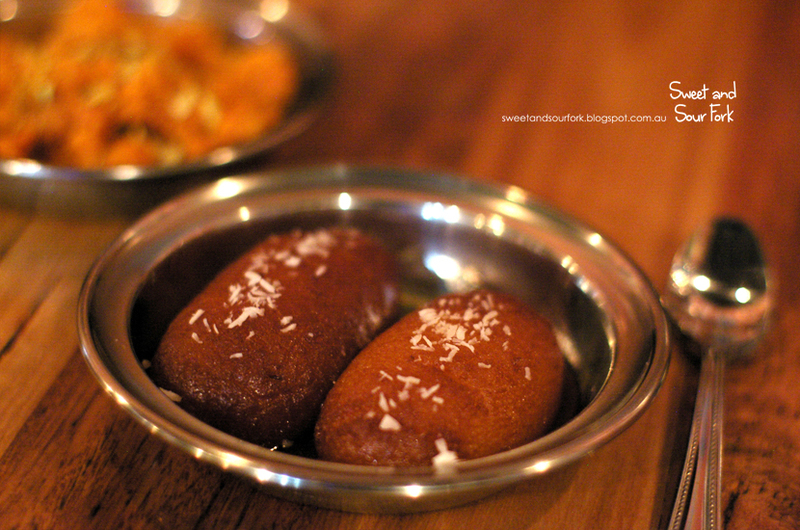 The unanimous favourite however was the Aloo Tikki ($7, 2pcs) – two fat mashed potato dumplings fried to golden perfection, topped once again with the tangy trio of (everybody together now!) chutneys, yoghurt, and veggies. 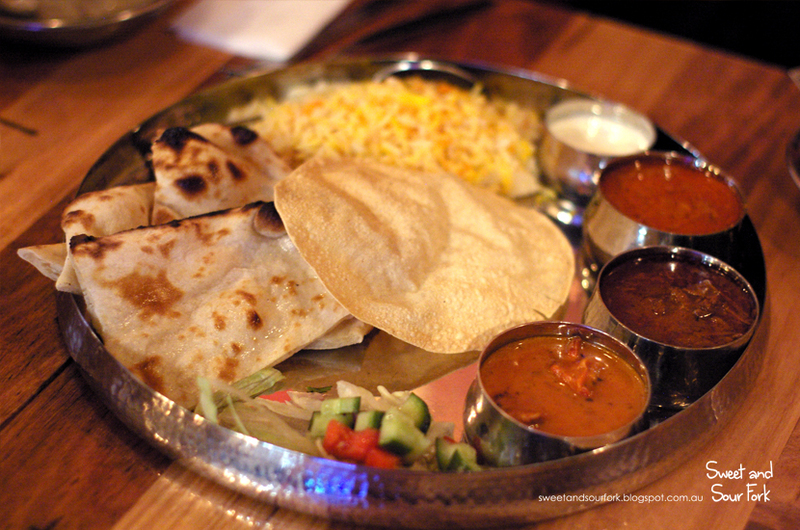 For our mains, we had a traditional Special Thali ($13), which included 3 curries of our choice, along with a large mound of rice, naan, and crisp pappadums. The butter chicken was golden and creamy, tasting like a warm hug. Meanwhile the lamb vindaloo was all fire and spice, and the ideal curry to have with dollops of cool raita. Our only vegetarian choice, the paneer curry, was a good one, consisting of a warm mix of spices and squeaky cheese. Of course, we had to try something from the Pizza and Wraps section as well, and we decided on the Tandoori Chicken Pizza Naan ($9.5). 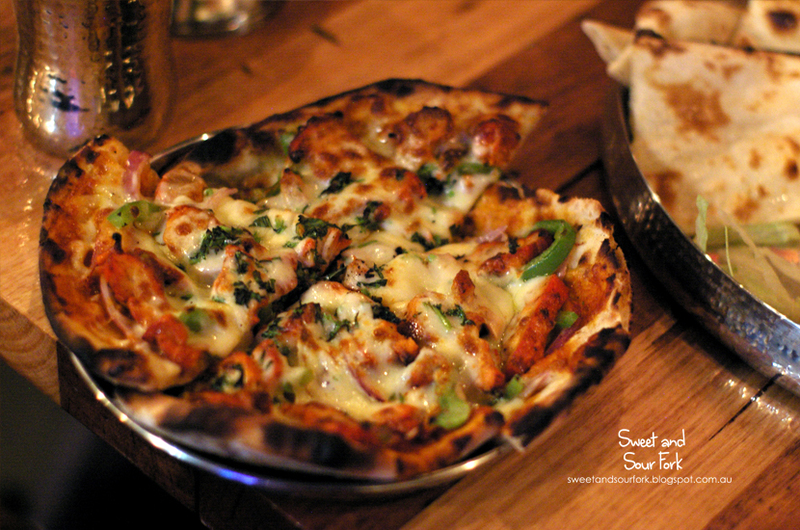 The naan was deliciously flaky and burnished, topped generously with smoky chunks of chicken, crisp veggies, and cheese that stretched for miles. 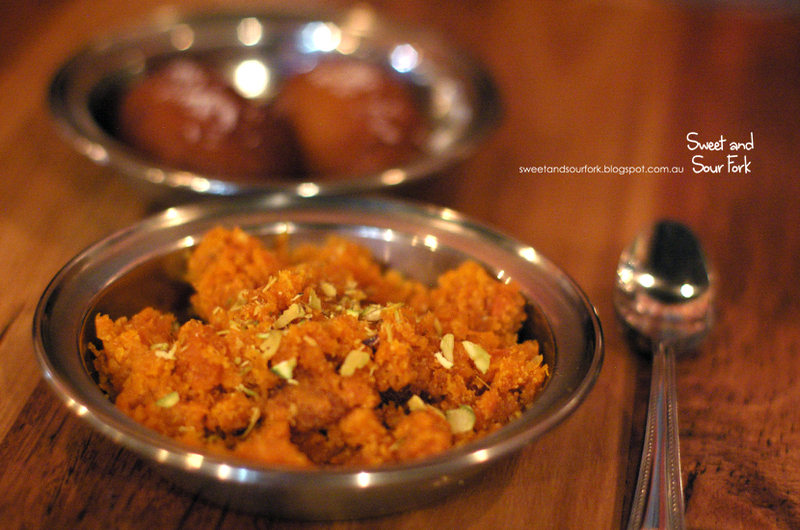 I hate carrots in every single incarnation, except as it turns out, the Carrot Halwa ($5). The mixture of carrots, sugar, and clarified butter was downright addictive, and I couldn’t keep my spoon away. 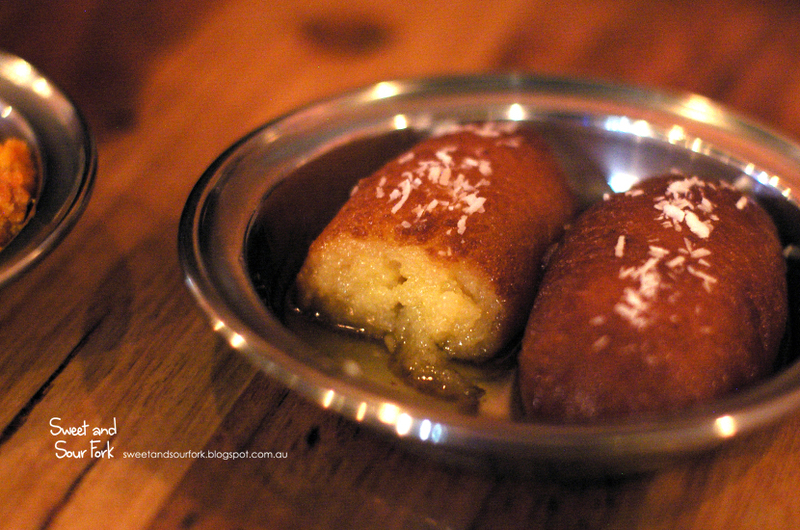 However, that’s not to say that the Gulab Jamun ($5, 2pcs) wasn’t a strong contender. These donuts were soaked through with hot syrup, their sweetness balanced expertly between sinfully indulgent and cloying. They would be stellar with a cup of strong mint tea. Going by my relatively limited experience with Indian food, I would say that Delhi Streets the real deal, or at least close to. 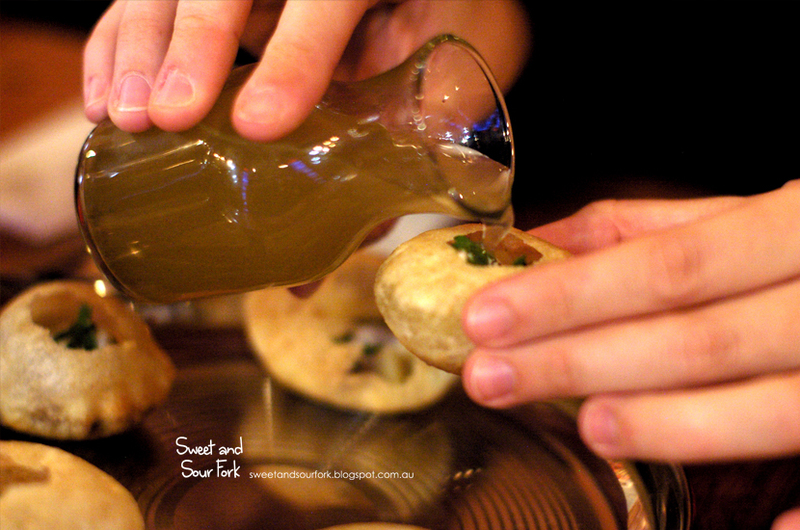 We feasted like Sultans and Sultanas for just over $20 a head, and a good time was had by all. Rating: 13/20 – chickpeas, lentils, and rice.